BuzzyMag.com will be offering original fiction spanning the genre from Epic Fantasy and Sci-Fi through Paranormal Romance, Horror, Urban Fantasy and Steampunk. 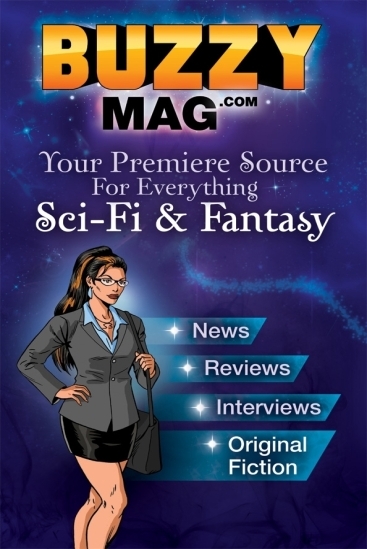 Monday March 26 2012 sees the launch of BUZZYMAG.com – A top shelf Sci-Fi and Fantasy publication. BuzzyMag.com will be offering original fiction spanning the genre from Epic Fantasy and Sci-Fi through Paranormal Romance, Horror, Urban Fantasy and Steampunk. BuzzyMag.com will also feature news, reviews, interviews and articles. Sara Bellum, BuzzyMag Editor-at-Large is a repository of the knowledge of all things in Science Fiction fandom and a good deal more. She stands ready to answer all your questions, so start seeing if you can stump her. BuzzyMag’s inauguration features short fiction by Ken Liu, Michaele Jordan, Lou Antonelli, J.C. Hemphill, Louis Baum, Teresa Bane & T. Glenn Bane.